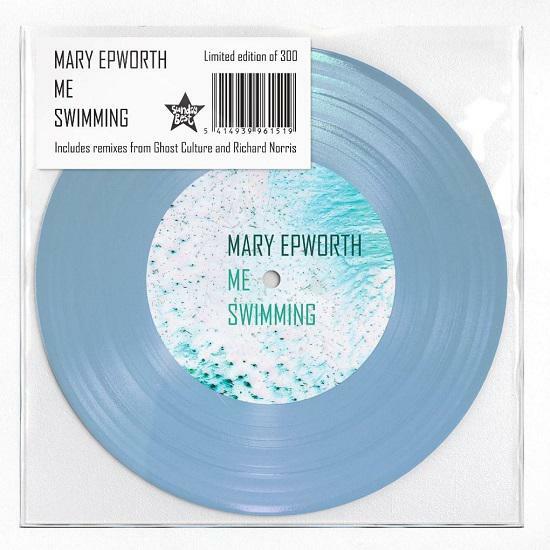 Mary Epworth's superb new single 'Me Swimming' will appear on a limited edition transparent blue 12" vinyl via Sunday Best on 23 June. The release comes backed with two remixes, by Ghost Culture and Richard Norris respectively. You can hear Norris' take on the single streaming exclusively above. Speaking about the release, Epworth said: "Richard Norris' wonderful remix is aquatic, immersive and joyful. Also I'm ticking off a box in Format Bingo - this is my first 12" single!" The single comes cut from Epworth's second album Elytral, which is out on 1 September. You can read all the information about the release here. She's also set for a live date tonight (13 June) in London, at The Social, presented by Huw Stephens. You can pre-order the new release of 'Me Swimming', which is limited to just 300 copies worldwide, here.